A bright, pretty dose of colour and care in one must-have collection. 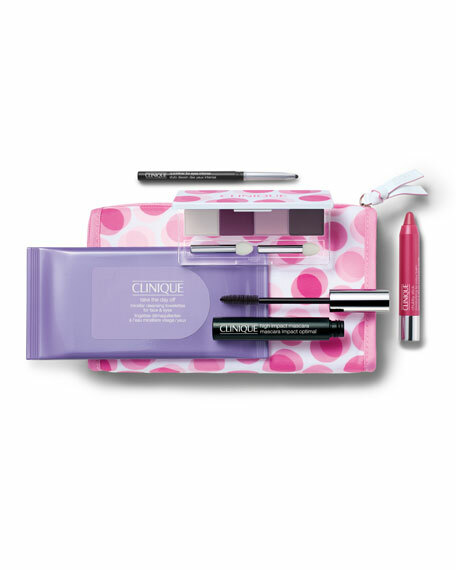 Discover everything you need for a pretty spring look, plus ready-to-go cleansing towelettes for when you want to take it all off. Start with Quickliner For Eyes Intense to line and define. Delivers all the intensity of a liquid liner in one simple stroke. Then give eyes luscious, long-wearing colour with gorgeous shades of our limited-edition All About Shadow Quad. Follow with High Impact Mascara to kick up the volume and length of each and every lash. Chubby Stick Moisturizing Lip Colour Balm comforts lips with a super-nourishing hint of pink. 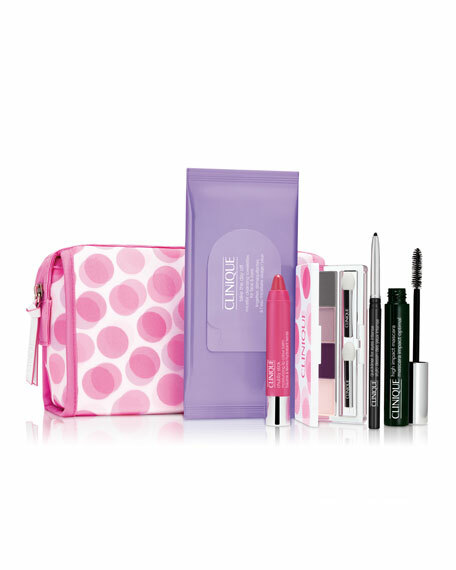 A great value, perfectly packaged in a polka-dot pouch. For in-store inquiries, use sku #2583211.